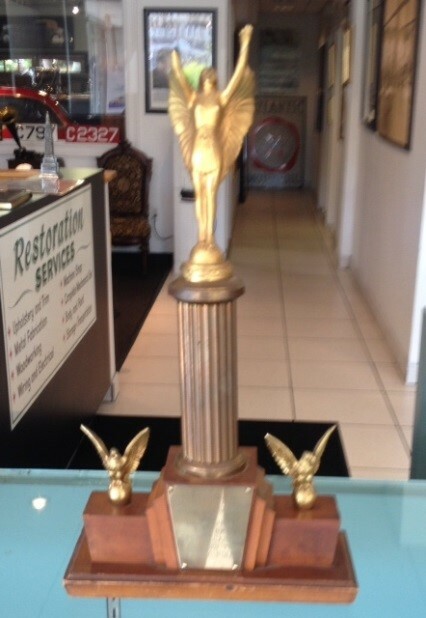 Norwalk, Conn. – After the success of the Fina Sport at Madison Square Garden in 1954, and at successive car shows including a first place trophy at the Philadelphia Autorama, not much is known as to why the coupe and its sister convertible the following year, were not put into production. The price of $14,000 (quoted in Italamerican Magazine) may have been a major deterrent when the average American car was selling for less than $2,000. 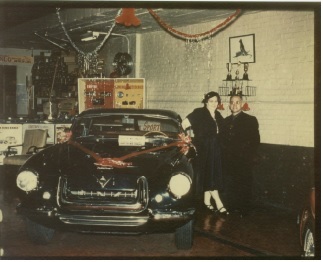 In 1957, Perry and Joe moved the garage to Norwalk, Conn. at 130 Connecticut Ave. and became a dealer for Studebaker-Packard, Mercedes-Benz and Jaguar cars. 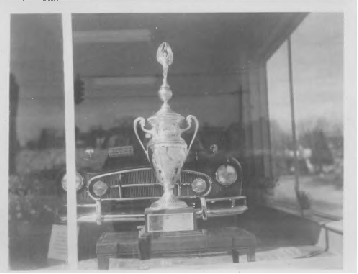 It appears that the Finas kept the prototype Fina Sport cars as there is a picture of the coupe with Perry and his wife Lillian in the Norwalk showroom taken in late 1960 as well as the convertible in the showroom window around the same time. Perry Fina passed away in New York City in 1970 just shy of his 78th birthday. 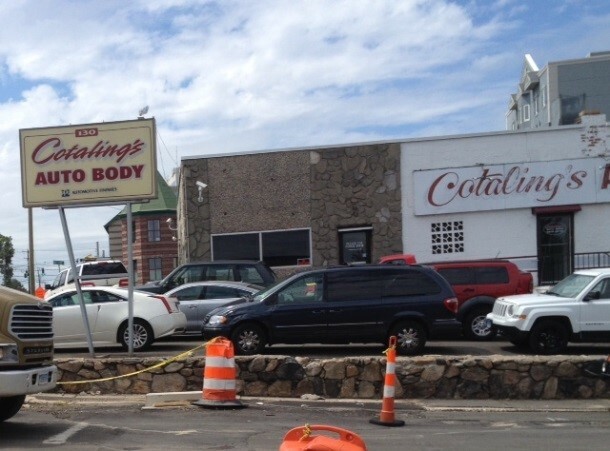 Joe continued to run the garage in Norwalk, briefly retiring in the early 70’s before accepting a position with the State of Connecticut Trade School System in a consulting role providing technical advice and guidance for the state’s trade schools. Joe remained in that role for 19 years during the course of which time he became friends with fellow Redding, Conn. resident and car enthusiast David Reed. Because of Dave Reed’s interest in cars and memorabilia, he was able to acquire all of the remaining photographs and artifacts for the Fina Sport cars from Joe Fina, many of which were used to compile this article. The whereabouts of the Fina prototype cars today is somewhat of a mystery. Joe Fina passed away in early 1999. 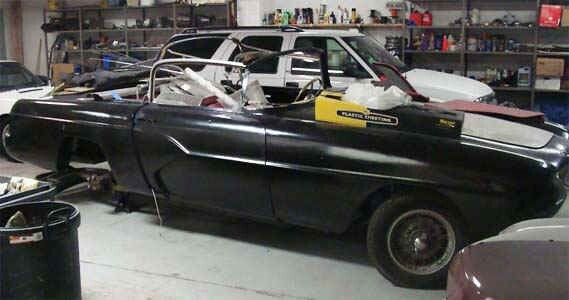 Dave Reed has been in touch with the owner of one car in Pennsylvania who claims he is going to restore the car with his son. 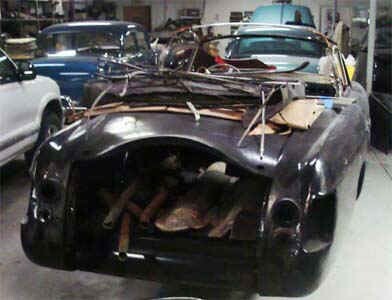 The convertible turned up on E-Bay a few years ago from a seller in Des Plaines, IL looking very much the worse for wear for an asking price of $275,000. Dave Reed believes there is a third car in Houston, TX but has not been able to locate the owner. It would be a tribute to the ingenuity and foresight of Perry and Joe Fina to bring a least one of these cars back to life for new generations of car enthusiasts.